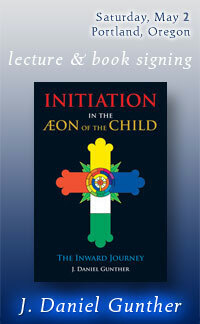 This is a lecture and book signing for the new publication Initiation in to the Aeon of the Child about which some pretty great things are being said. My understanding is that not only is this not simply a whistle-stop on a book signing tour, but this is the only planned event for the book, with books available for purchase at the event; but, I suspect they will go quickly so reserving a copy when registering for the event will be a good idea. The signing will also be a reception with food and drink and even some vending such as other valuable and rare books from Seattle’s Night of Pan Books. J. Daniel Gunther is a life-long student of esotericism, mythology, and religion. A longtime member of A∴ A∴, the teaching Order established by Aleister Crowley, he is considered one of the foremost authorities in the field. 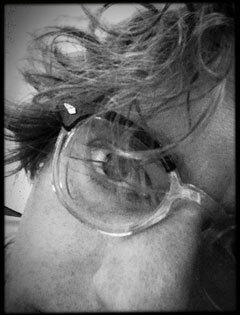 He serves on the editorial board of The Equinox and acts as a consultant and advisor for numerous occult publications. In this ground-breaking book, author J. Daniel Gunther provides a penetrating and cohesive analysis of the spiritual doctrine underlying and informing the Aeon of the Child, and the sublime formulas of Initiation encountered by those who would probe its mysteries. Drawing on more than 30 years of experiences as a student and teacher within the Order of the A∴ A∴, the author examines the doctrinal thread of Thelema in its historical, religious, and practical context.